Could you solve the riddle in less than 20 seconds? No? Then you should keep on reading and try NeuroNation's brain games. They can boost your brain’s health and strengthen your mental performance. Games for your brain are a fun way of challenging yourself mentally. Regular training with brain games will keep your brain at its highest level and boost your cognitive performance to its maximum. It is well known that physical exercise leads to a longer and happier life. So what about exercise for your brain? 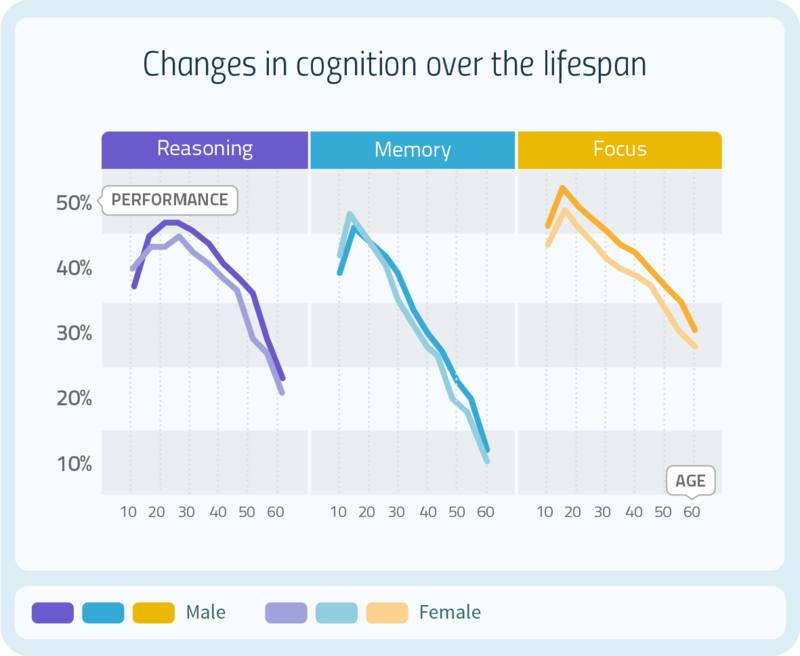 According to the latest findings in Neuroscience, your brain reaches its peak performance at 16-25 years, and thereafter cognitive functioning declines . Unfortunately, the best training doesn’t do you any good, if you don’t do it regularly. But with any training that challenges you, it is quite hard to stay consistent if you’re not having fun with it. That’s why NeuroNation has designed challenging and logic games for your brain that will keep you motivated. They’re called ‘games’ for a reason: while their goal is to improve your cognitive functions and performance, they are still playful, fun and engaging. Our brain games particularly target your working memory, which is extremely important for your daily functioning. Scientists regard working memory as the fundamental basis of all our thinking, learning and problem solving. We need working memory in order to understand complex topics, solve problems, and store new information. Dr. Sherry Willis, Professor at the University of Texas , found that by training with brain games, individuals became more efficient at performing their everyday tasks of different complexity. 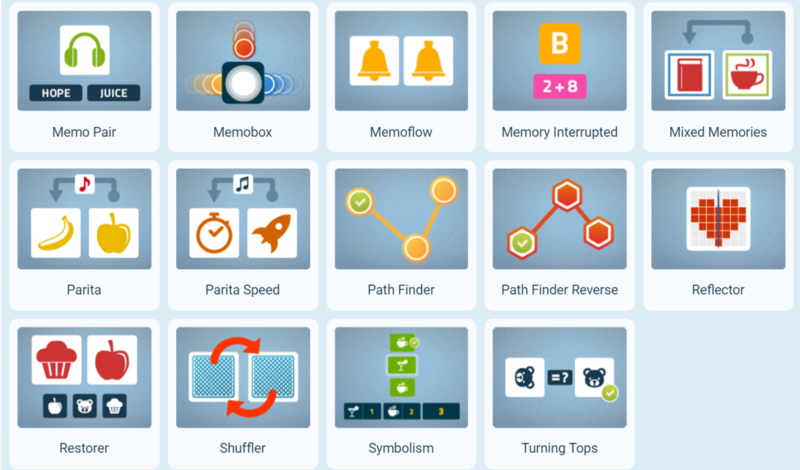 But our brain games also challenge your memory, logic, attention, and verbal skills through a variety of brain exercises based on scientific research. Dr. Karen Li, head of Concordia University’s laboratory for adult development and cognitive aging, recommends that adults try brain games they find motivating such as logic exercises, puzzle games or crosswords, as a way for an effective brain boost to enhance their cognitive performance. The category ‘Numeracy’ trains your algebraic skills. Its exercises are extremely useful for your everyday dealing with numbers. They not only improve your math skills but also strengthen your problem solving and logical thinking abilities. For example, the exercise ‘Chain Reaction’ asks you to perform mental calculations quickly, memorize the result and quickly apply it to the next equation in the chain. The goal is to continue the chain for as long as possible. In this category, your verbal fluency and your articulation are being trained. Because of the ever-changing requirements, this category also tests your working memory, your multitasking abilities, and your visual tracking. In the exercise ‘Password’, you are shown a series of letters, which you have to form as many words as possible out of. Here, your vocabulary and your verbal articulation are tested. The ‘Reasoning’ category trains your ability to recognise patterns, meaning the relationship of one object to a group of other objects. We constantly have to recognize patterns in our everyday life in order to form logical conclusions and solve problems. This category really challenges your logical thinking but also your concentration and processing capacities. In the exercise ‘Solitaria’ you need to quickly recognize patterns, and identify the one object that is different to all the others. This is the category that focuses on your working memory. You need working memory to remember information and keep several information simultaneously at your disposal. A well-trained working memory means a better attention span, and the ability to resist temptations. It also influences your IQ. The exercise ‘Memobox’ requires you to remember the amount of colored balls going in and out of several different boxes. Focus, memory, and processing capacities are key here. ‘Perception’ is designed to train your sensory acuity. This makes you process information faster, and react quickly to changing situations. Your attention and multitasking skills are particularly trained in this category. ‘Color Craze’ is a challenging exercise that gives you more control over automatic actions of yours. You have to either click on a color or a symbol, depending on what is being sought. The exercise is designed to work against your impulses, so you will train your ability to resist your impulses. Our brain is an amazing organ. In a time of constant information overload, taking care of your brain health is more important than ever. 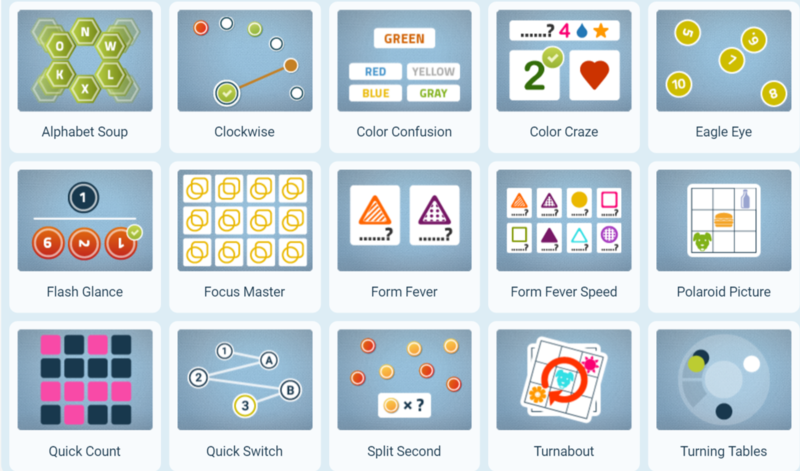 Instead of traditional brain games like puzzles, solitaire, crossword puzzles or board games, challenge yourself with NeuroNation brain games as a playful and fun alternative that is based on Neuroscience. Let our games give your brain a boost and help you stay mentally fit and healthy. 3: Valenzuela, M., & Sachdev, P. (2006). 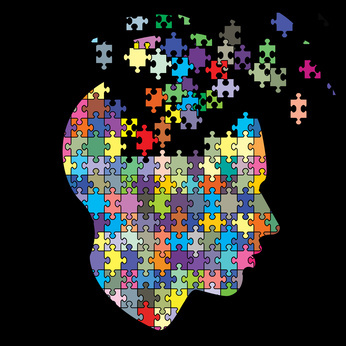 Brain reserve and dementia: A systematic review. Psychological Medicine, 36, 441-454.